A successful violinist with the Minnesota Orchestra was desperate for a family retreat that was remote and off-grid. 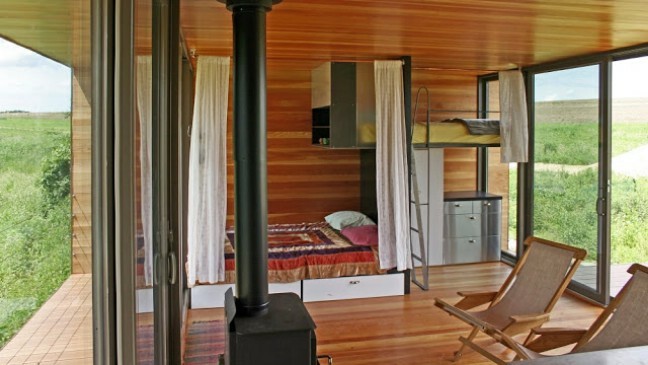 Her solution was to contact Alchemy Architects from Saint Paul, MN to build her a 336-square foot tiny house in Pepin, Wisconsin that was completely off-grid. 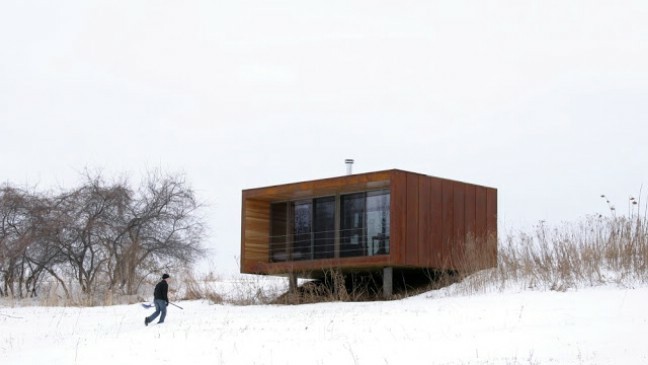 The rustic home was based on the company’s popular Weehouse and is made of cementitious siding with oxidized paint. Inside, the home has beautiful douglas fir siding with large windows that let natural light and fresh air flow throughout the home’s open floorplan. 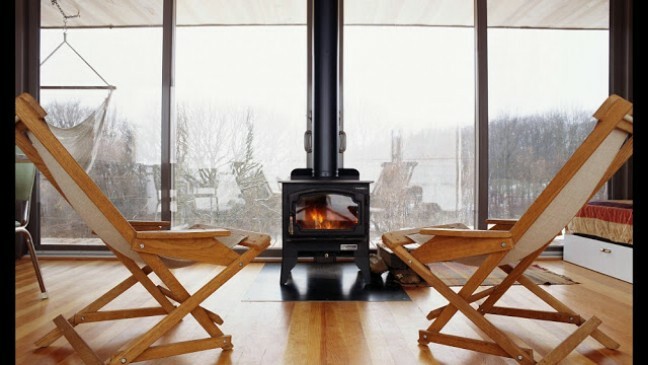 The entire home is kept warm and cozy with a small wood burning fireplace located centrally in the home. 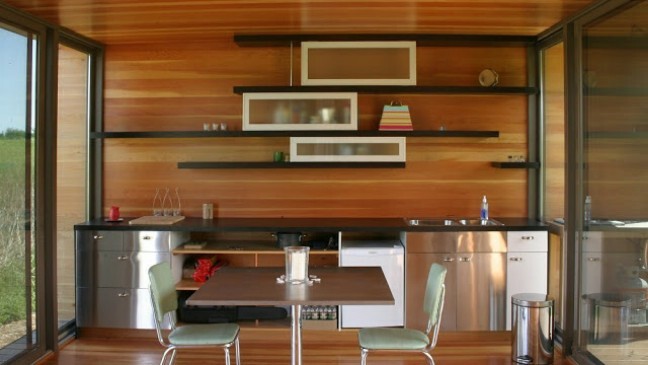 The kitchen is placed along one end of the home with open shelving on the wall and stainless steel accents and appliances. In front of the kitchen is a small dining table with diner-style chairs. The sleeping areas for the home are on the other end of the home and are mostly open except for curtains which provide some privacy. One large bed is set on top of a storage platform while a smaller bed is raised over a sleek dresser and accessed by a ladder. 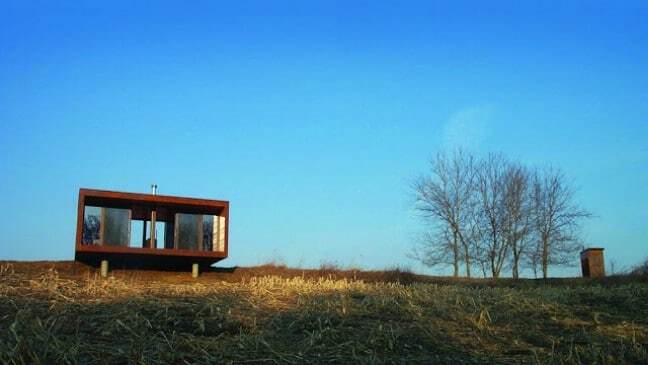 If you’re looking for a simple getaway, you can order your own Weehouse from Alchemy Architects.